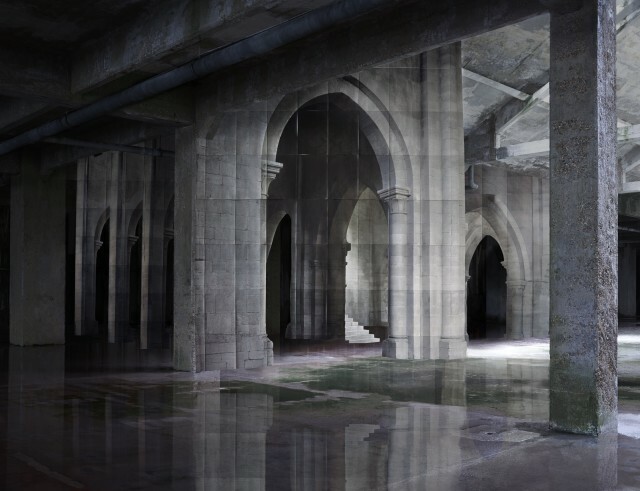 Eerie and unsettling yet strangely mesmerising, Noémie Goudal's photographs demand attention. From her 2012 series Haven Her Body Was, which we featured in our October 2012 print issue, to the recent Observatoires series, included in an exhibition at The New Art Gallery Walsall, Goudal has never shied away from interrogating photography's potential to trick the eye. "I really like this play between what we know and what we can see," Goudal told BJP in 2012. "I like having this kind of game where you're not sure if [what you're looking at] is constructed or found. I try to give some clues but not too many so there's a space for people to come in and invent their own stories and links between the pictures." Two years on, Goudal's landscape-inspired images continue to keep viewers on their toes. The Paris-born London-based photographer currently has new work on show at Edel Assanti in South London as part of In Search of the First Line. At the exhibition's core are images from Observatoires, a series of imposing black and white images inspired by geomorphic architecture - constructions that draw on nature - among other work. In these images, concrete edifices rise up from the ground - the sole subjects in otherwise barren landscapes. The RCA graduate often works directly within the landscape, sometimes inserting photographic backdrops into a scene before re-photographing it. But with her latest series, it's not immediately clear whether these sculptural forms are real or staged; a statement on the gallery's website alludes to digital collaging, but the images remain difficult to fathom. But perhaps this is the point - these are images that cannot be explained; the beauty of Goudal's work lies precisely in its mystery. In Search of the First Line is on show at Edel Assanti until 15 November 2014.